During Bloom in the Park this summer, I took a break from the Birdwatch Ireland stand to have a gander around and see what was on offer. I wandered into Keeling’s Fruit tent, hoping there would be some Raspberries I could ‘sample’ but was surprised to see the main attraction was a small shoe box sized container. People were huddling around it, some of the children tapping the perspex lid and whooping enthusiastically. Turned out it was a bumble bee colony of the Buff tailed Bumbebee, Bombus terrestris, all higgledy piggily, pots of nectar and pollen strewn about, the untidy cousin of the regimented honey bee, Apis mellifera. These bumblebees are commercially bred to pollinate greenhouse fruits allowing us to buy the most Irish of summer delights; Wexford Strawberries. With no sign of said fruit to sample and my interest piqued by the commercial hive, I set out to find some of their wild relatives in a garden that had been specifically planted to support bees, the pollinator garden. With 20,000 people at the event that day I wasn’t expecting much, maybe five or six workers of the White tailed bumblebee, Bombus lucorum, the commonest of our bumblebees. In fact, what I found was astonishing, the flowers literally buzzing with hundreds of bees, the red tailed tiny workers of the Early bumblebee (Bombus pratorum) mixing it up with the orange fluff balls of the common carder bee (Bombus pascorum). There were more bumblebees in that one garden than I had seen anywhere else before. In all I counted 6 species of bumble bee in 10m2 of wildflowers, adding Bombus hortorum, Bombus lapidarius and Bombus terrestris, more than a quarter of the 20 bumble bee species in Ireland. This wasn’t just peculiar just to the Phoenix park. As I cycled home along the dodder later that day, I came across a 100+ strong colony of solitary mining bees, busily excavating their burrows. Another further 100m on and Honey bees swarming a flowering shrub. I was impressed, pollinators seemed to doing well in Dublin. From Melbourne to Berlin, New York to Vancouver cities are becoming refuges for the beleaguered wild pollinators (Hall et al., 2017). In London, the Olympic Park Meadows show how landscape designers and gardeners are adopting more pollinator friendly planting schemes. In Chicago the Lurie Garden is being hailed as an ‘urban model of responsible horticulture’, with ecological knowledge being utilised to sustainably manage this green roof. The amount of public support for pollinators is pretty astounding; after just two years the orange dots on the map for the Million Pollinator Garden Challenge blots out most of the US, each an action to help conserve pollinators. The All Ireland Pollinator Plan has had enormous buy in which we hope will help halt the decline of Irish pollinators. But why would we want to conserve pollinators, especially in urban environments? Well, first they are damn adorable. And secondly, they provide us with an important service: pollination. Those apple and pear trees, all the blackberries, strawberries, raspberries, the list goes on, in the gardens and community allotments around Dublin are all pollinated by these incredible insects. The last global estimate of this service was €153 billion (Gallai et al., 2009), but some very exciting research that Dr James Murphy is doing in Prof. Jane Stout’s lab here at Trinity is going to blow that number out of the water (there’ll be a blog post, don’t worry). They provide us with a plethora of tasty fruits, without which society would 100% scientifically collapse (could you imagine no coffee or chocolate?). Joking aside, they do contribute massively to the global economy. But with two thirds of people expected to live in urban areas by 2050, the most important role that pollinators could have in cities is as mascots. They are simultaneously cute and provide an easy to understand ecosystem service, making them the perfect educational tool, an entry point for understanding and appreciating the natural world. As part of my PhD I hope to investigate Nature-based Solutions. This is a new word for what many people would know as green roofs, constructed wetlands, bioswales or even urban parks. The most famous example would be the High Line in New York. Nature-based Solutions are an alternative to traditional grey infrastructural solutions and have the advantage of delivering many associated benefits such as carbon sequestration, flood mitigation, amenity creation or biodiversity conservation. For example, a green roof planted with native wildflowers can mitigate floods, pull down some carbon, remediate the urban heat island effect and provide a foraging area for pollinators. Imagine a city with a network of green roofs, bioswales, rain gardens, parks and wetlands that supports nature, which in turn help cities to adapt to and mitigate against climate change or pollinator declines. That’s the goal of Bi Urban, a social ecological enterprise based in Stoneybatter whose goal is to create a ‘Lifeline’, an ecological corridor, or to you and me, a nature trail, to connect the royal canal to the Liffey, giving both the residents and the local flora and fauna a place to enjoy and live. There has been a huge movement to start urban beekeeping, with Dublin being very much involved. Bi Urban are already have selections of honey produced in the different districts around Dublin; my personal favourite, the Cabragh variety. While Nature-based Solutions sound like a panacea for many societal issues, the scientist in me is sceptical. I want evidence that they work, that do what they say on the tin, provide solutions. How much carbon can they sequester, will they mitigate flood damage, can they improve air quality? 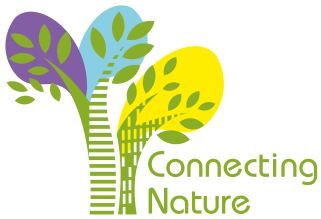 Connecting Nature, an international consortium headed up by Dr. Marcus Collier here in Trinity, aim to do just that. One common solution to help reverse pollinator declines is the bee hotel. Loved by all as they make us feel like we’re helping the struggling bees. Yet the research, what little of it there is, is not conclusively positive, with bee hotels in Canada helping the spread of invasive bees, and in France only used by two already common bee species. In an informal Facebook poll of Insects and Invertebrates Ireland most of the bee hotels were empty after years of instalment. With only 10 of the 97 species of bee capable of nesting in bee hotels in Ireland, I’d like to investigate whether they are the best way of conserving bee populations and hope to set up an experiment for the coming season. If you, like me, would like to continue to see a diversity of pollinators in our urban environments we need to provide them with food and shelter. I hope to find out what how to best provide these requirements, so we can enjoy their presence and fruits of their labour, pun intended, for generations to come. This is all they need, a place to rest and some food, they’ll do the rest. Baldock, K. C. R., Goddard, M. A., Hicks, D. M., Kunin, W. E., Mitschunas, N., Osgathorpe, L. M., Potts, S. G., Robertson, K. M., Scott, A. V., Stone, G. N., Vaughan, I. P. & Memmott, J. 2015. Where is the UK’s pollinator biodiversity? The importance of urban areas for flower-visiting insects. Proceedings of the Royal Society B-Biological Sciences, 282(1803), pp 10. Carré, G., Roche, P., Chifflet, R., Morison, N., Bommarco, R., Harrison-Cripps, J., Krewenka, K., Potts, S. G., Roberts, S. P. M., Rodet, G., Settele, J., Steffan-Dewenter, I., Szentgyörgyi, H., Tscheulin, T., Westphal, C., Woyciechowski, M. & Vaissière, B. E. 2009. Landscape context and habitat type as drivers of bee diversity in European annual crops. Agriculture, Ecosystems & Environment, 133(1), pp 40-47. Gallai, N., Salles, J.-M., Settele, J. & Vaissière, B. E. 2009. Economic valuation of the vulnerability of world agriculture confronted with pollinator decline. Ecological Economics, 68(3), pp 810-821. Goulson, D., Nicholls, E., Botías, C. & Rotheray, E. L. 2015. Bee declines driven by combined stress from parasites, pesticides, and lack of flowers. Science, 347(6229),pp. Hall, D. M., Camilo, G. R., Tonietto, R. K., Ollerton, J., Ahrné, K., Arduser, M., Ascher, J. S., Baldock, K. C. R., Fowler, R., Frankie, G., Goulson, D., Gunnarsson, B., Hanley, M. E., Jackson, J. I., Langellotto, G., Lowenstein, D., Minor, E. S., Philpott, S. M., Potts, S. G., Sirohi, M. H., Spevak, E. M., Stone, G. N. & Threlfall, C. G. 2017. The city as a refuge for insect pollinators. Conservation Biology, 31(1), pp 24-29. Matteson, K. C., Ascher, J. S. & Langellotto, G. A. 2008. Bee Richness and Abundance in New York City Urban Gardens. Annals of the Entomological Society of America,101(1), pp 140-150. Cian White is a first-year PhD student in Prof Stout’s lab at Trinity College Dublin, co-supervised by Dr Marcus Collier.